U-Line Echelon Wine Cooler Stainless (P/N 2175BEVCS-00). 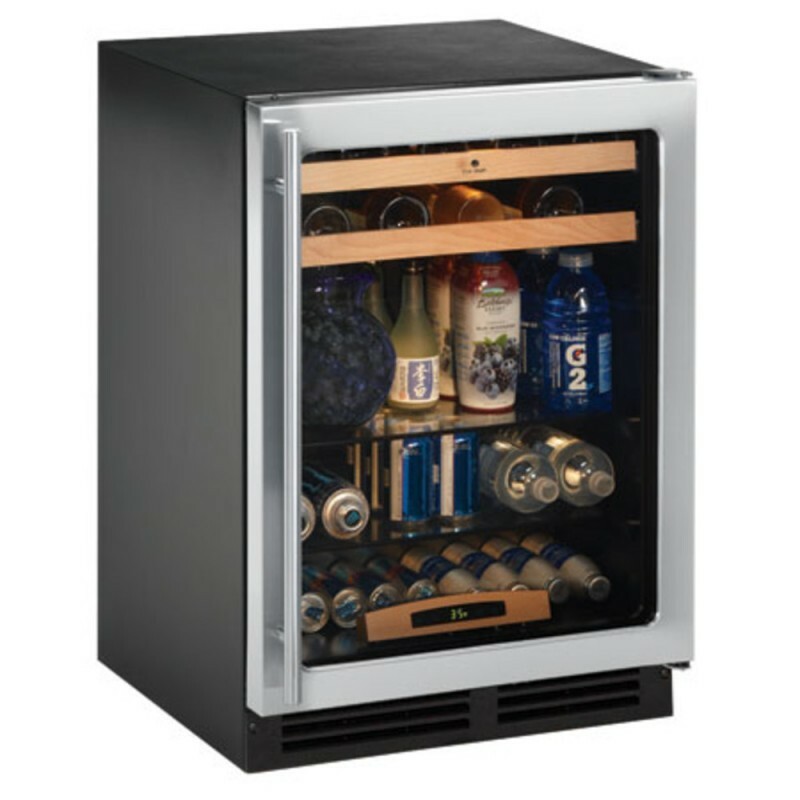 This beverage center offers 6 cubic feet of refrigeration capacity for up to 127 beverages. Two maple-trimmed sliding shelves hold 16 wine bottles, and two removable glass shelves hold 48 bottles (12 oz) and 63 cans (12 oz). Optimal serving temperatures for white wine (45°F) and beverages (38°F) are consistently maintained with Touch Control Digital Technology, making it easy to set and view internal temperatures. Can be used in built-in or freestanding applications. Options include choice of finish and door pulls. Refreshing in style and convenience, this model offers you a sleek stainless steel look. Whether you want to reach for a soda in the solarium, a glass of wine in the great room or a water bottle near a whirlpool, U-Line has what you're thirsting for.